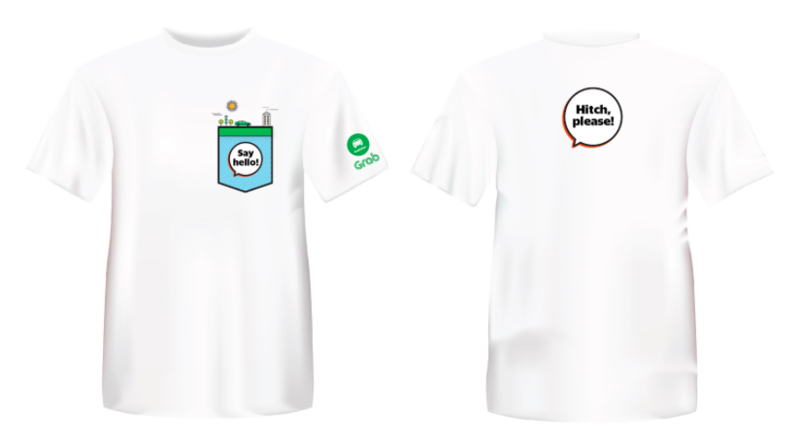 Get a Hitch T-shirt when you refer a friend to GrabHitch! EXCLUSIVELY for you, get a Hitch T-shirt for referring 1 friend to GrabHitch! Get an exclusive Hitch T-shirt collectible AND $20 credit for referring your 1st friend to sign up to drive with GrabHitch successfully. For referring your 2nd (and thereafter) friends, get $20 credit for each successful driver referral! In addition, as a new driver to GrabHitch, your friend gets $20 sign up bonus. Remember to encourage your friend to do ONE ride by 30th November 2017 so that both of you qualify for your rewards! Hitch T-shirt – Limited in quantity! You will be contacted for your size if you qualify. Also, in conjunction with the Grab X Hello Kitty campaign, we have kept 10 sets of the Hitch Hello Kitty and Hitch Dear Daniel for referrers! They come packaged in an exclusive box – made available only for you and you cannot get it anywhere else! Your friend and you will get the rewards after your friend completes ONE ride as a GrabHitch Driver. Remember to encourage your friend to do ONE ride by 30th November 2017*! 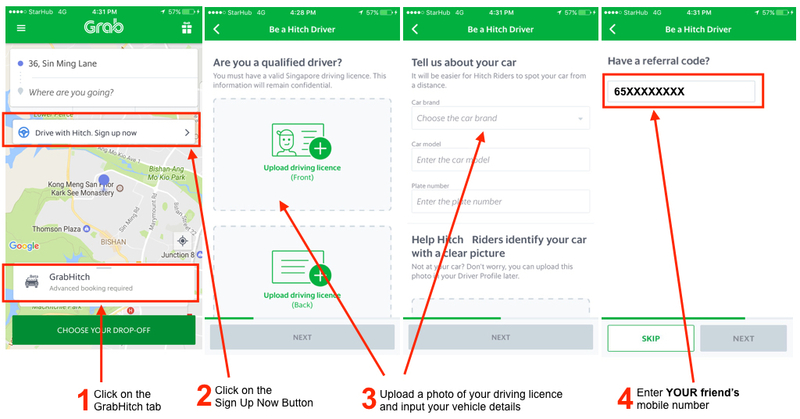 For enquiries on our DRD scheme, or if you have additional feedback on GrabHitch, please email us at : support.sg@grab.com with the Subject: GrabHitch DRD and we will get back to you in 1-3 working days. Alternatively, do text us at 8429 9032 (Monday – Friday, 10am – 6pm) for assistance. The T-shirt + $20 credit (and $20 credit for following referrals if applicable) for referrer / $20 credit for referred scheme runs from 1st November 2017 @ 00:00 hours – 30th November 2017 @ 12:00 hours. This incentive is only limited to drivers who have received the EDM /SMS/ in-app push stating this bonus. Each driver is only entitled to ONE T-shirt after referring his / her first friend to drive with GrabHitch successfully (i.e. completing min 1 ride by 30th November 2017 @ 12:00 hours). You will only receive the T-shirt + $20 credit (for the first referral) and $20 credit (for following referrals if applicable) in your GrabHitch driver wallet after your friend has successfully completed ONE GrabHitch ride as a driver before the incentive period has ended. After your friend has completed his/her ride as a driver, please allow up to 10 working days after the incentive period has ended (i.e. post-30th November) for your own credits to be processed into your GrabHitch driver wallet. You will only be eligible to win the Hitch-exclusive Hello Kitty set if you have referred at least 3 friends to drive with GrabHitch who went on to complete at least 1 ride by 30th November 12:00, and completed the form above. You have to apply with a valid Hitch driver’s mobile number (65 plus his/her 8-digit mobile number) and do ONE successful GrabHitch ride as a driver by 30th November 12:00 hours to count as a successful referral for your friend. After completing your ONE GrabHitch ride within the incentive period, please allow up to 10 working days after the incentive period has ended (i.e. post-30th November ) for the $20 credit to be processed and transferred into your GrabHitch driver wallet.